Richard Austin Freeman (1862 - 1943), who published as R. Austin Freeman, was a British author who invented the inverted detective story (also called, "howcatchem"), in which the murder and perpetrator are disclosed at the beginning of the story, followed by a description of the detective's attempt to solve the mystery. His best-known series featured the medical-forensic expert, Dr. Thorndyke. Freeman flavors his stories with bits of arcane scientific knowledge about toxicology, tropical medicine, and metallurgy. No wonder, his passion for forensic medical details in his stories stemmed from his studies as an apothecary, then medicine at Middlesex Hospital in London, where he qualified as a doctor in 1887. Shortly after getting married, he and his bride moved to Accra on the Gold Coast of Ghana. Thus, his propensity to offer tropical medical details in many of his stories was born. Freeman contracted Blackwater Fever and returned to London in 1891. Unable to find a permanent medical position there, he turned to writing fiction and practicing medicine in Gravesend. During World War I he served in the Royal Army Medical Corps as a captain, after which he published a new Dr. Thorndyke novel on average once a year until his death in 1943. 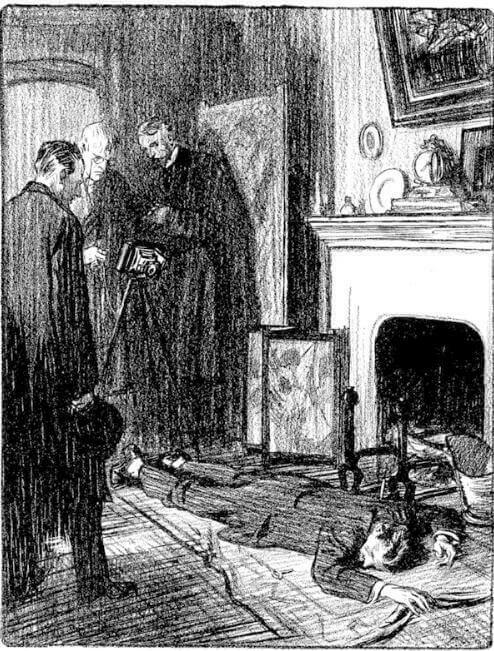 Freeman draws the reader into his stories by creating a sense of heightened drama with his descriptions, as in: "There was in the entire aspect of the room something very grim and dreadful. Especially impressive was the air of suspense—of ordinary, every-day life suddenly arrested, cut short in the twinkling of an eye." -- The Aluminum Dagger (1910). We feature Freeman's work in our collection of Mystery Stories.